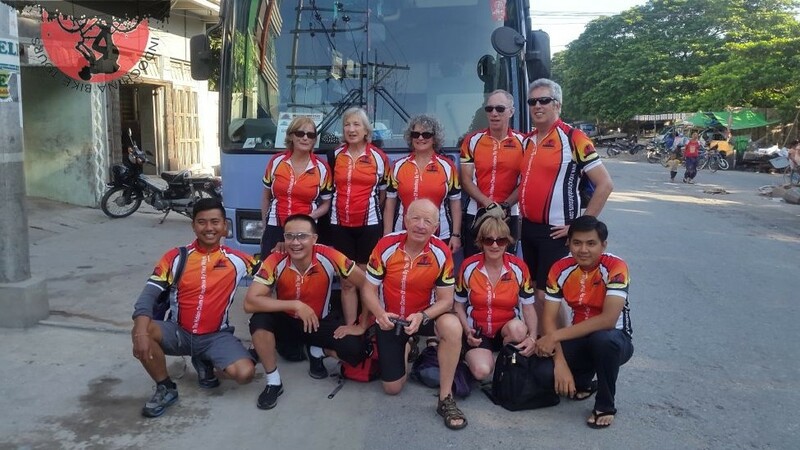 Pick up from your hotel in Bangkok by our experienced English speaking cycling guide. Bike fitting and tour briefing. Transfer about 1 hour 15 minutes from Bangkok to Saraburi to avoid cycling in the busy trafic in Bangkok. 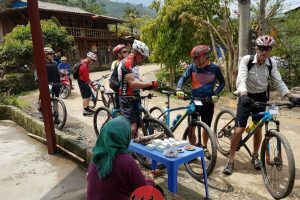 We stop for rest room in the gas station and get ready for cycling on the back road to Khao Yai National Park. We stop for lunch before climbing to our hotel. Dinner and overnight in Khao Yai. Breakfast at the hotel. We start cycling a bit down hill to enjoy the fresh air. We stop for water after cycling and enjoying for a while and slow down to see this one of the most beautiful National Park. 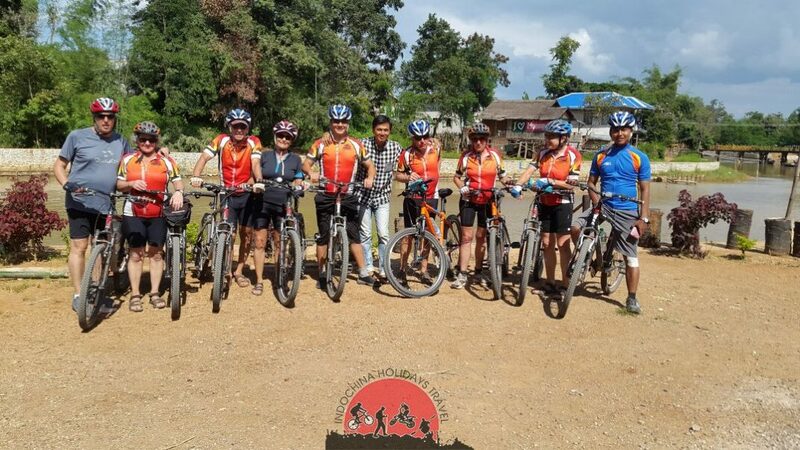 It is the biggest and longest hills which is just a couple hours from Bangkok and situated between Saraburi until Cambodia border. Lunch stop will be around 50km. After lunch we cycle for another 45km on more flat road. Dinner and overnight in Surin. Breakfast at the hotel. 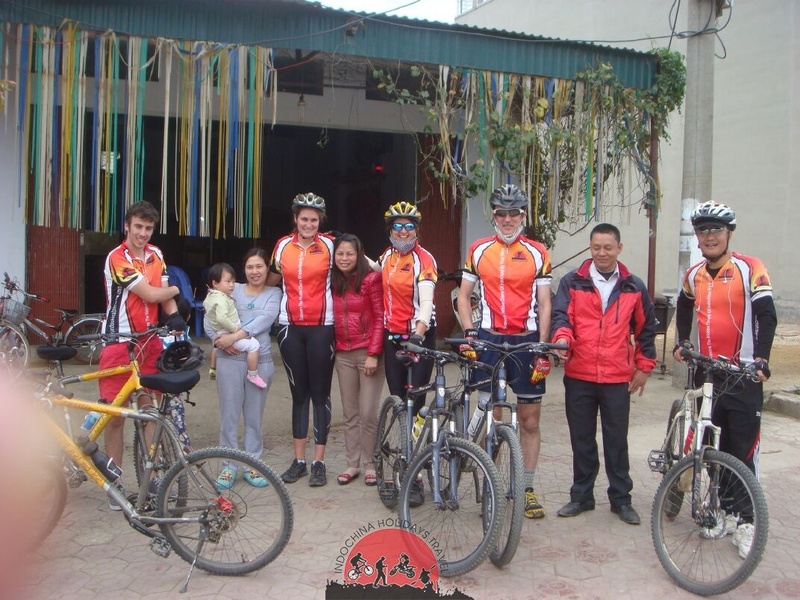 Get ready and start cycling from our hotel by taking back road. Soon we get to quiet small road which is suitable for cycling. We stop for water and visit “Ban Chang” means Elephant Village and learn how elephants connect with the people in the village. The villagers should to take good care of the elephants but not riding. Afternoon, we continue cycling on the quiet road to complete 80km. Dinner and overnight in Roi Et. Breakfast at the hotel. 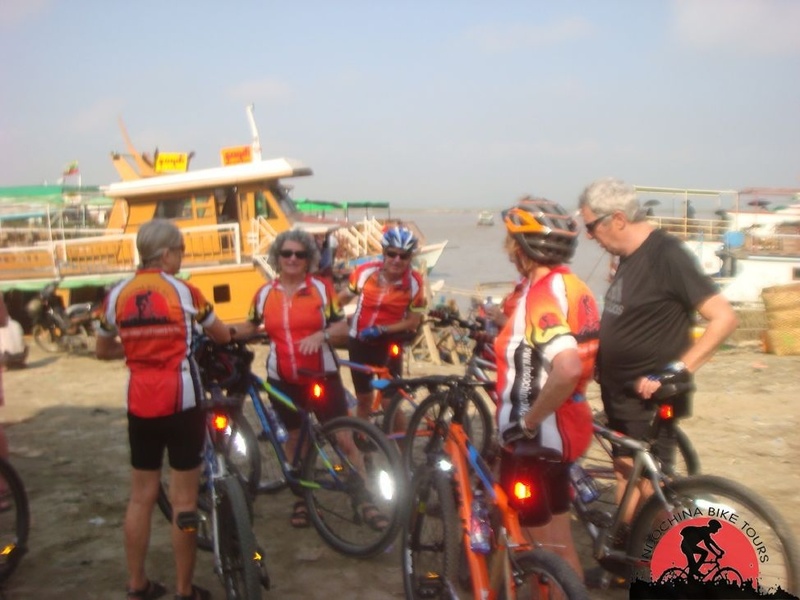 We transfer about 30 minutes from the busy part of the town, then set off our bikes to cycle off the main road along the beatiful rice fields. This part of Surin and Khon Kaen are the biggest part to produce rice where the road to Udon Thani has more farming of sugar canes and casava. We stop for lunch about Km 50 and after lunch we cycle the last 29km to our hotel to relax at the pool. Dinner and overnight in Khon Kaen. Breakfast at the hotel. Today, we cycle on the most beautiful part of rural Thailand from one villages to another and we stop to take photos quite often. Afternoon, we cycle through many nice scenery starting with rice fields, endless sugar palm farm and casava. Then we reach to the villages and out to the farms and fields again as the scenery keep changing. There are a bit of down hills and up hills but not much climb just about 150m to 300m high. Dinner and overnight in Khon Kaen. Breakfast at the hotel. Today we cycle straight from the hotel. Watch out for the traffic for the first 5 to 10km. Then we get to the quiet road through the countryside. Today cycling route is relatively flat with maximum altitude 150m high. We cycle on some of the very small roads through the countryside and the villages in the remote areas. Then we reach out to Nong Khai, the border town separated Nong Khai (Thailand) and Vientiane (Laos) by the Mekong River. Late afternoon, proceed to the border crossing point at the foot of the bridge. We get our lugguages and put of the bus as we change the support vehicle. Then stamp out at Thailand immigration and cross the 2km bridge and get the visa on arrival USD35 per person with 1 photo at Laos side. Then continue our journey to Vientiane which is 15km from the border. Dinner and overnight in Vientiane. After breakfast, we prepare for our hard day biking. We stop every 20km for drink and snack stop. Overall route is modulated and steep hill on some part. We will arrive in Vang Vieng known as the gate to Northern Laos or backpacker’s paradise a busy town which packed of young tourist from all over the world because of its charming landscape and variety of fund activities. Today is our longest bike ride. Early morning, we cycle on the main road passing Pak Ou . It has the famous tourist attraction, Pak Ou caves. Then we cycle along Nam Ou river. It is an interesting to cycle along the river through villages to enjoy the rural lives. Enjoy picnic lunch on the river bank and take a power nap before heading to Ban Thabu. The end of the day, we finally arrive at PaMong. Dinner and overnight in PaMong. Activities:,• 60km biking.,• Meal :Breakfast, Lunch ,Dinner. 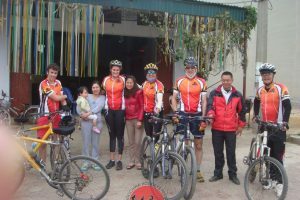 After breakfast, we cycle 75km on the main road to Muang khua. This is a scenic lightly traveled road to bustling Muang khua. During the second Indochina War, the provincial capital became the center for Chinese troops supporting Pathet Laos. Today, it is the junction of National Road 1, 2 and 4 has made its position a booming alos – China trade center. 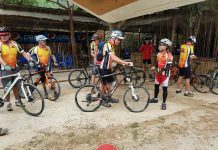 Activities:,• 75km biking.,• Meal :Breakfast, Lunch ,Dinner. Early morning we cycle along Nam Ou river to the Boder. This northeast area has the least population of Laos. After Lunch we will crossing Laos North-East border at Tay Tran. You have to get Vietnam visa in advance in order to cross vietnam land border. Vietnam visa on arrival can be obtained only arrival at the airport and some boder . 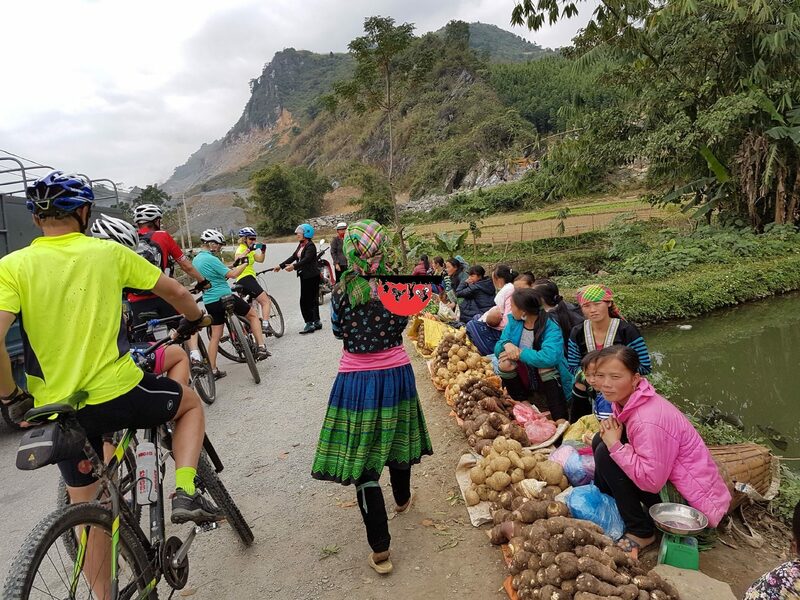 In the afternoon, we continue cycling to Dien Bien phu .It used to be the big battle field between the French and Vietnamese when Vietnam fought again the French to get independence. Activities:,• 70km biking.,• Meal :Breakfast, Lunch ,Dinner. 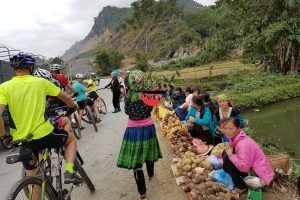 Take a hardest but challenging ride this day to Tuan Giao and Dien Bien Phu, on a rough tarmac terrain all the way, but you will be rewarded with the stunningly beautiful scenery and untouched remote villages. Overnight in Tuan Giao. Activities:,• 87km biking.,• Meal :Breakfast, Lunch ,Dinner. Take a brutal ride this day to Sin Ho and Lai Chau and get a reward of truly spectacular views. The ride is on the main road, uphill and tarmac downhill, mixed of gravel and hard pack clay. Overnight in Than uyen. Activities:,• 50km biking.,• Meal :Breakfast, Lunch ,Dinner. 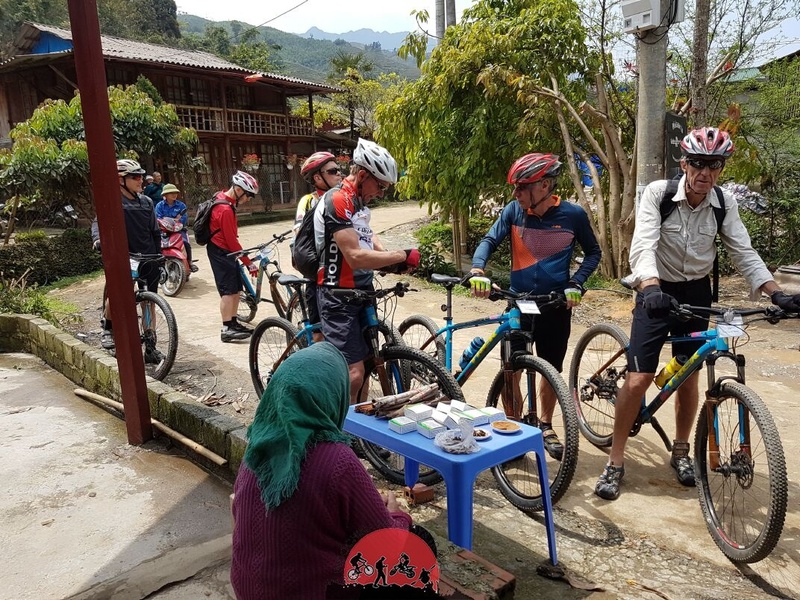 Cycling shortly uphill as warm up to the Binh Lu, before starting a long descent ride to Tram Ton Pass and ride a truly off the beaten track (jeep track) mixed of hard pack gravel and clay to Sapa. The Queen of Mountains, Sapa sits regally overlooking a beautiful valley, lofty mountains towering over the town on all sides. Sapa is the French hill station was built in 1922. Over night in Sapa. 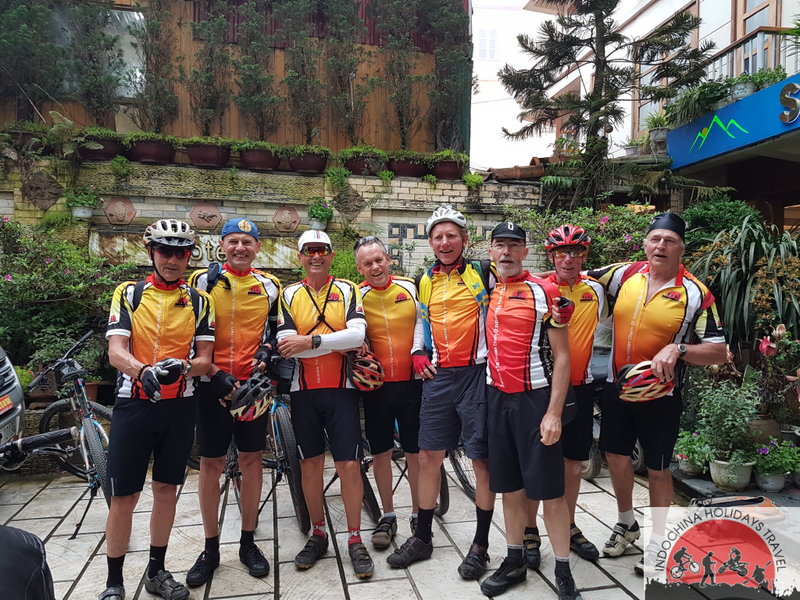 Day 20: Sapa Valley afternoon ride –overnigh on the train to HANOI. After breakfast in hotel.you have free time to walking around sapa after Lunch we transfer to Lao Cai for the train to Hanoi. Lao Cai is on the gateways to China, Lao Cai lies at the end of the train line on the Chinese border. The border crossing slammed shut during the 1979 war between China and Vietnam and remained closed until 1993. Lao Cai is now a major hub for travellers journey between Haoi, Sapa.overnight on the train. Day 21:HANOI DEPATURE or You can connecting another tour with us from Hanoi . Good morning Hanoi.transfer to restaurant for breakfast for the tour ending.